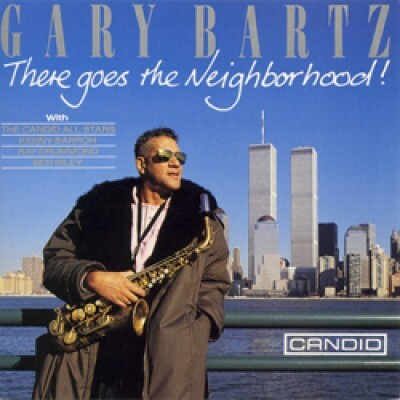 'There Goes The Neighborhood" is a living document of the remarkable musicianship of Gary Bartz who continues to be one of the most articulate and arresting voices. The title of the album has special significant for the alto saxophonist He wanted to make a statement not merely about 'Racism', his original composition featured here, or necessarily about the deterioration of the quality of urban life, but about the nature of life generally. To him this highly energized performance recorded live at Birdland, New York in November 1990 found him at the apex of his creativity. 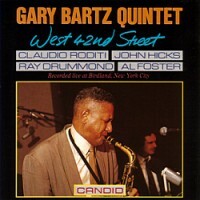 Here, Bartz is joined by Kenny Barron on piano, Ray Drummond on bass and Ben Riley on drums. The album artwork is especially poignant as it frames Gary together with the famous twin towers destroyed during the 9/11 tragedy.